An emotional debate over Santa Clara County’s immigration policy unfolded Tuesday as the board considered amending its sanctuary laws to allow law enforcement to notify federal authorities about undocumented inmates with a history of violent crimes. Damian Trujillo reports. An emotional debate over Santa Clara County's immigration policy unfolded Tuesday as the board considered amending its sanctuary laws to allow law enforcement to notify federal authorities about undocumented inmates with a history of violent crime. The potential policy change would not affect the county's refusal to cooperate with detainer requests from U.S. Immigration and Customs Enforcement and hold inmates in jail longer, which is unconstitutional in California. Instead, it would allow police and county sheriff's deputies to contact federal authorities with inmates' release date, time and location if they are violent criminals under a detainer request. ICE would then be responsible for taking the inmate into custody prior to their release. About 200 speakers during public comment overwhelmingly opposed changes to the county's sanctuary policy, which in 2011 paved the way for dozens of other counties in the state. They said an amendment would create a double standard for criminals in the county, entrap innocent victims of the criminal justice system and politicize a tragedy to scapegoat undocumented immigrants. 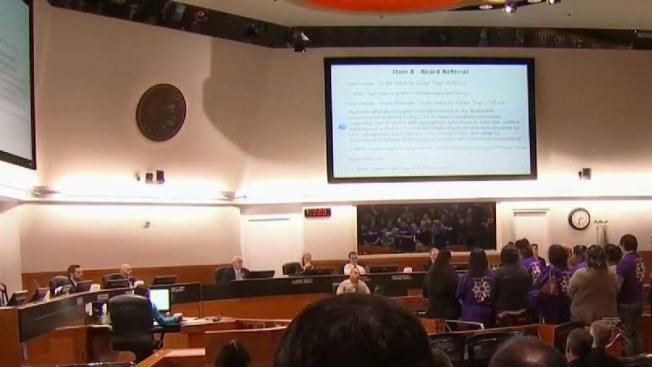 The Santa Clara County Board of Supervisors on Tuesday will take up the controversial issue over whether to hand over undocumented criminals to U.S. Immigration and Customs Enforcement. Sharon Katsuda reports. Supervisors Dave Cortese and Mike Wasserman introduced the board referrals after the murder of South San Jose woman Bambi Larson on Feb. 28, and the arrest of 24-year-old Carlos Eduardo Arevalo Carranza in connection with her death. The undocumented Arevalo Carranza was under the influence of methamphetamine, had a long criminal history throughout California, had been arrested and released at least six times and was under a detainer request from ICE. He also suffered from mental illness, according to police. Amid swirling accusations of blame in Larson's death, the San Jose police chief, mayor, police officers' association, county district attorney and sheriff together demanded the county change its policy against communicating with ICE, a position that many of them advocated for during a similar discussion in 2015. Heads of each organization emphasized that they do not want to alienate law-abiding undocumented residents, but other speakers at Tuesday's meeting said that any collaboration with federal authorities would erode quality of life for all immigrants. "There is no need and no moral imperative to do ICE's work for it," county Public Defender Molly O'Neal said. "Their currency is fear and intimidation. This is the same ICE that has felt zero compunction about separating small children from their parents at the border ... and is part and parcel of a federal administration determined to promote hatred and racism. We urge you to keep ICE out of our jails." 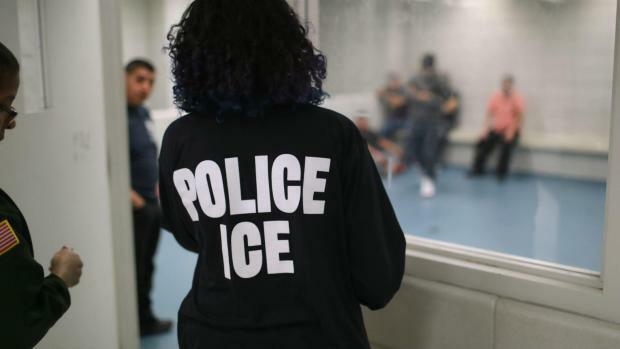 Francisco Ugarte, a deputy public defender in San Francisco, also cited a New York University and University of Chicago study of the federal "Secure Communities" policy in 2014, which found no meaningful relationship between increased deportations and crime rates. Those in the minority who spoke in favor of changing the policy said they were scared to sleep in their own beds at night. Rick Lock, Bambi Larson's cousin, said he was grappling with outrage and shock after his family member was violently taken away. "It occurred to me that this is a game of Russian roulette," he said. "We don't know, when we release one of these people, what's going to happen." "The people of Santa Clara County are decent, honest, welcoming and generous, but our generosity does not extend to the criminal element who would murder us in our own beds," another county resident said. Any amendments to the county's policy would fall under California's Senate Bill 54, which outlines a list of qualifying misdemeanors and felonies. It would push for a warrant-based custody transfer system, and urge federal authorities to consistently file warrants in all transfers. "The individuals that prey on our community, not only impact our city as a whole but oftentimes their crimes are the very reason why some of our immigrants fled from native lands," San Jose police Chief Eddie Garcia said. "Let's stand together and collectively say that we've done everything we could to keep our residents and our police officers safe." District Attorney Jeffrey Rosen called violent felons the "enemy of us all," and said between November 2014 and March 2019, about 600 undocumented criminals in the county who were released went on to commit additional violent offenses. He said a change in the notification policy would impact about 100 inmates a year. "My office will find justice for Bambi Larson, but this new policy is not for Bambi Larson," he said in a statement. [Immigrants] -- and all their fellow county residents -- deserve our assurance that we in these chambers are less concerned about political stances than their safety." As public comment pushed past four hours at Tuesday's meeting, speakers argued the changes would have a chilling effect on immigrant communities by making them even more reluctant to seek help from law enforcement, and said the amendment would tear families apart by deporting individuals instead of allowing them to serve their time and return home. "If we wanted to keep the community safe, would we keep incarcerated everyone who has committed a violent crime?" asked the Rev. Anna Lange-Soto. "If a brown guy commits a violent felony, then a white gal, they should have the same penalty -- not one deported and one let go." Groups on both sides of the debate argued their position would protect undocumented immigrants targeted by people in their own community, but all immigrants who spoke at the podium opposed changes to the sanctuary policy. "We're a national model for preventing racial profiling and upholding equality under the law. If we give ICE an inch, they'll take a mile," said Maricela Gutierrez, executive director of Services, Immigrant Rights & Education Network. "President Trump loves to single out one part of somebody's identity as the reason for their actions. Please do not give into this racist logic. We need healing, not scape-goating," Gutierrez said.